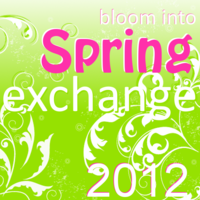 Out With The Map: Bloom Into Spring Exchange: Show Off Your Loot! My partner was Taylor from Goings On In Texas. 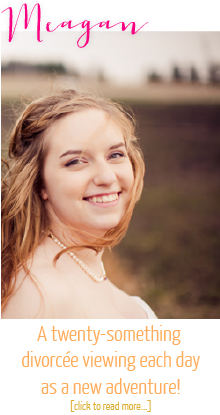 She is really sweet, smart, and her blog is just as cute as she is! Go check her out! 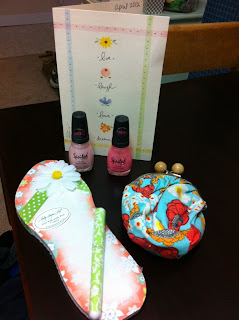 Taylor sent me this awesome stash of spring goodness. She sent me an adorable card, a flip flop notepad and pen, 2 Spoiled nail polishes, and a cute pouch that I'll probably use to organize my purse. *Sigh* Reminds me of our awesome Hawaiian honeymoon (which I'll have to tell you about on the 1 year anniversary of our trip in June!) I love it all! Thanks so much, Taylor!